The use of eco-friendly materials which are the ones that strive to reduce the manufacturing carbon footprint and reduce the subsequent effect on the environment such as is the case of recyclable and biodegradable materials is still one of the biggest challenges in materials science today. Moreover, materials scientists are also looking out to reduce the effect on human health which is also a big challenge no only for the health industry but for people’s general wellbeing. Although Policarbonate (PC) and Nylon are very popular materials within different industries, Polyacrylate butadine styrene (ABS) and Polylactic Acid (PLA) are thermoplastic polymers of great interest to the engineering and design industry today. ABS is one of the most used polymers in the market. Although the manufacturing process of ABS is more complex than more common polymers such as polyethylene and polypropylene it desirable and effective in the auto and domestic appliances industries due to its mechanical properties, and therefore it is know as an engineering polymer. Without going too far, the famous lego pieces are made out of ABS. On the other hand PLA is a polymer made up of lactic acid, and as of today it is the most popular biodegradable and biocompatible polymer in industry. Most of the PLA produced worldwide is used for household applications such as clothing, bottles, cups, and food packaging. PLA is sought the be the best replacement for petroleum based polymers with the added value that PLA has a low impact on the environment and are biodegradable. Another great characteristic of PLA is that it does not cause harm to the human body and therefore has been used and studied by the health and bioengineering industry. The mechanical and the biocompatibility properties of PLA make it an ideal substitute for bone and soft tissue, such as for maxillofacial trauma, orthopaedic surgery, ophthalmology, orthodontia, controlled release medical implants and resorbable sutures such as the ones used in eye, chest and abdominal surgery. Photo activated polymerisation is the process of which a polymer is cured with the presence of UV or visible light, depending on the additive that is used. The base of a photopolymeric or photocurable resin is an organic polymer which has a photoinitiator, a compound/additive that initiates the polymerization reaction. This photoinitiator is consumed during such reaction. Via the presence of “absorption additives” radicals are released when exposed to specific ranges of wavelengths which initiate polymerisation. In layman terms, the polymeric resins hardens when exposed to certain wavelengths of light. 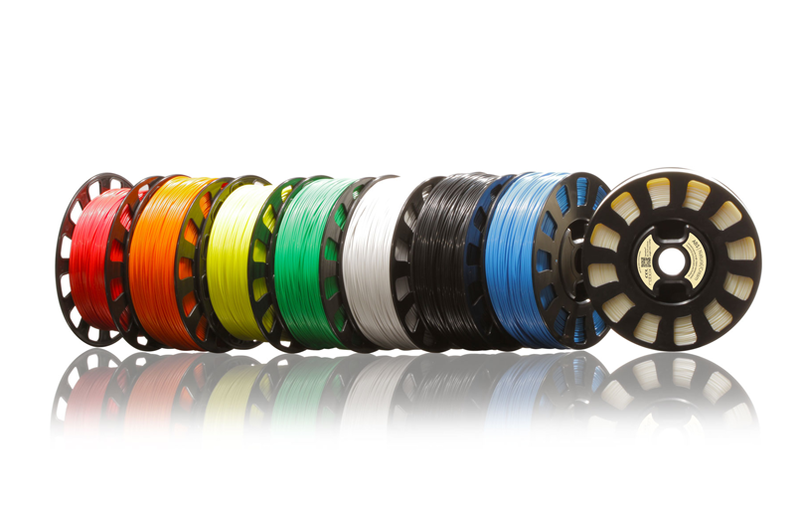 In the 3D printing industry these wavelengths tend to be within the UV or visible spectrum.